2016 was a remarkable year at Homestead Village. Much was accomplished during our 30th anniversary year. We celebrated with special theme dinners, the unique and fun Homesteadpalooza and the elegant 30th Anniversary Gala. We completed the Apostles Center for Care additions inside and out, creating Young House and its secure courtyard, the four private rooms in Radcliffe House, the therapy addition and the Gelhard House courtyard. Young House provides wonderful memory support care. The Apostles Center project also created a new entrance to the fitness center and pool, using the stairwell near the Young House entrance, that is more easily accessible from the apartments. Throughout Homestead Village, new gazebos have appeared to enhance outdoor areas. The Gelhard House courtyard features a new gazebo and so does the main entrance of the Apostles Center for Care. 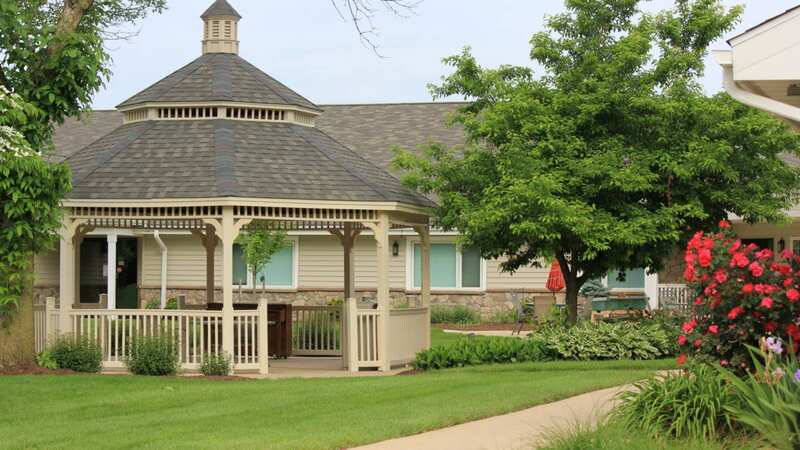 Across from the main entrance, the old putting green and gazebo have been replaced by a new gazebo and large picnic area that also serves as a pickleball court. The Farmstead which was first offered for sale at the beginning of 2016 is now taking shape as the newest neighborhood at Homestead Village. Eighteen homes are built or under construction and eight families call The Farmstead Home. All together, 22 homes have been sold. The Apartment corridors and lounges have all been renovated with new carpet, paint and lighting and new furniture for the lounges. Apartment renovations continue with new bathrooms and kitchens. Soon the apartment building will be fully remodelled into a beautiful and comfortable aging in place neighborhood. Our dining services has significantly upgraded its monthly special offerings, creating a delicious and constantly changing made to order menu that is very popular. Our life enrichment and activity offerings are better than ever with more life enrichment staff in every area designing programs and activities to enhance the well being and life satisfaction of our community. We initiated a weekly Sunday morning service in the Glasford Room led by our own Pastor Dave that has become very popular and is a valued part of our weekly life for many residents. Much has been accomphished in 2016 and we are looking forward to a an equally successful 2017.